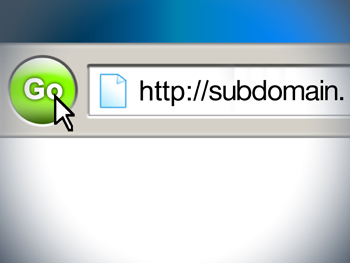 Using a subdomain on your Bookie Solutions site has some great advantages, and in this article we offer you some useful information about it. 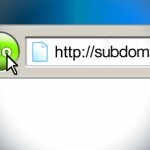 Bookie Solutions: What is a Subdomain? When someone mentions a subdomain, that person is referring to a dependent domain that has been set within the primary domain of your Pay per Head Services website in the DNS or domain name system. One of the main reasons to use a subdomain is to segregate a section of pages in order to create a virtual website within your Bookie Solutions site. A great example of a subdomain is a blog within your site. When you create a blog using a subdomain, you have the option of adding posts on that section which you really don’t want to include in your main site navigation scheme. One of the reasons for this is because on a blog you can add more broad info that is not precisely related to the Bookie Solutions that you offer, which is indeed the kind of data that a person can find on your actual website. You can also opt for creating subdomains for your sub-agents. For example, if you have a sub-agent from a given area named John, you can create a subdomain for him in order to offer more specific information for prospective clients of your sports betting operation that are located in the community where John is representing you. In such case, you don’t really have to add John’s full URL (uniform resources locator)on your main Bookie Solutions website because the information contain within it is really not intended for most people visiting your site. Instead, it is best if only John utilizes such URL in order to promote your services in the area where he resides. http://casino.yourwebsite.com, this one can be used to add information on the casino services that you provide. http://racebook.yourwebsite.com, on this one you can add info on your racebook Bookie Solutions. Search engines like Google and Yahoo consider subdomains as completely separate websites, and since this affects your SEO (search engine optimization) efforts, you need to be careful about how you use a subdomain. If you want to use subdomains to separate the different areas of your website, you need to consider the fact that the search engines don’t see a relationship between your various subdomains. For this reason, you will need to optimize every single subdomain on its own. If you are planning to add vast content to all of your subdomains, then using them is not a bad idea because you can apply the proper SEO to every subdomain and you will end up with not one, but several websites, which can be quite positive in order to have a good presence in the SERPs (search engine results pages). On the other hand, if you are not going to add that much content to the different sections of your website, then it is best if you don’t use subdomains. Instead, you can leave all of the sections of your Bookie Solutions site within the primary domain in order to apply better siloing. As you can see, using subdomains can be quite beneficial for your website, though if you really don’t know if using them is a good idea in your particular case, it is always good to consult a professional SEO in order to get advice on how you should proceed. This entry was posted in Articles on April 27, 2014 by Mark.